ITALY HAUL | RAWR BOWS. Hello! If you've been reading my blog lately you probably know I went to Italy last month and, obviosuly, I did some shoppin. You cannot go to Milan and not go shopping, it's a must. I didn't go crazy because unfortunately my carry on was not Mary Poppins' bag and I could only fit so much stuff. The first store I went to is H&M. Why would I go to H&M in Milan? I don't know, but everything seemed much nicer but it was probably my brain playing tricks on me. I picked up three things, my favourite being the black and white cardigan. 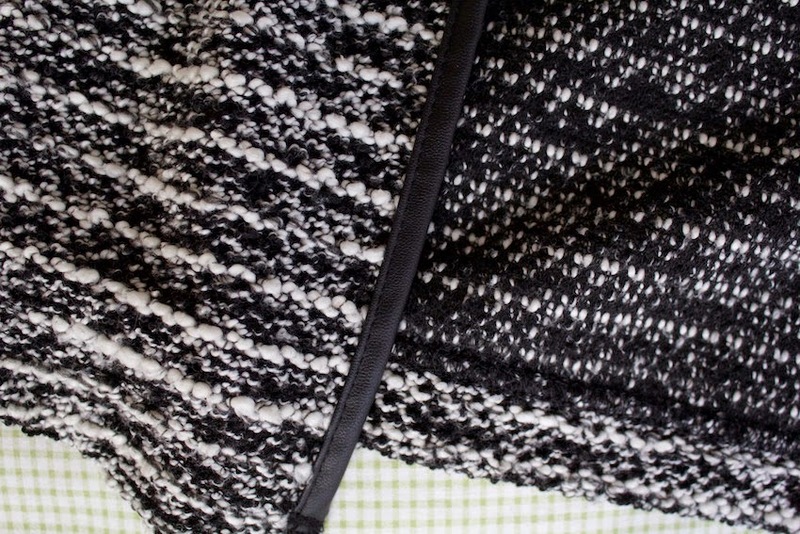 It's the perfect cardigan for spring and it goes with pretty much everything. I love the leather detailing it has, I think it gives it a fancier look and makes it less boring. 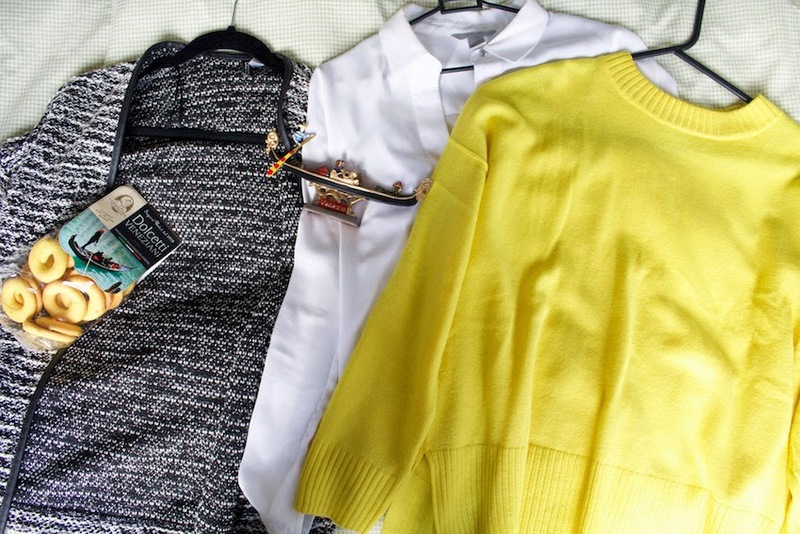 I also picked up a bright yellow jumper that I've been wearing non stop lately. I don't have many colourful clothes (as in, my most colourful jumper was dark green) so I thought it would be a good addition to my wardrobe. Finally, I also picked up a simple white shirt. Surprisingly enough I didn't have any and had been looking for one for months but couldn't fine one that fit me properly. I didn't buy any more clothes but I bought some stuff for my family. I bought some Dolcetti Veneciani, which are biscuits that have a characteristic flavour which I don't know how to describe but definitely remind me of something I've had before - wish I knew what! I wanted to buy a mask for my sister because I know she is really into room decor and I thought it would look good in her bedroom. However, when I asked her she told me she didn't buy one, she wanted a gondola. So I bought that little one for her. As I've already said I din't go crazy or anything, just bought a few pieces and some souvenirs! Have you bought anything recently?